July has been a rough month. My beloved Uncle Genie died and a friend’s daughter suffered a violent attack. 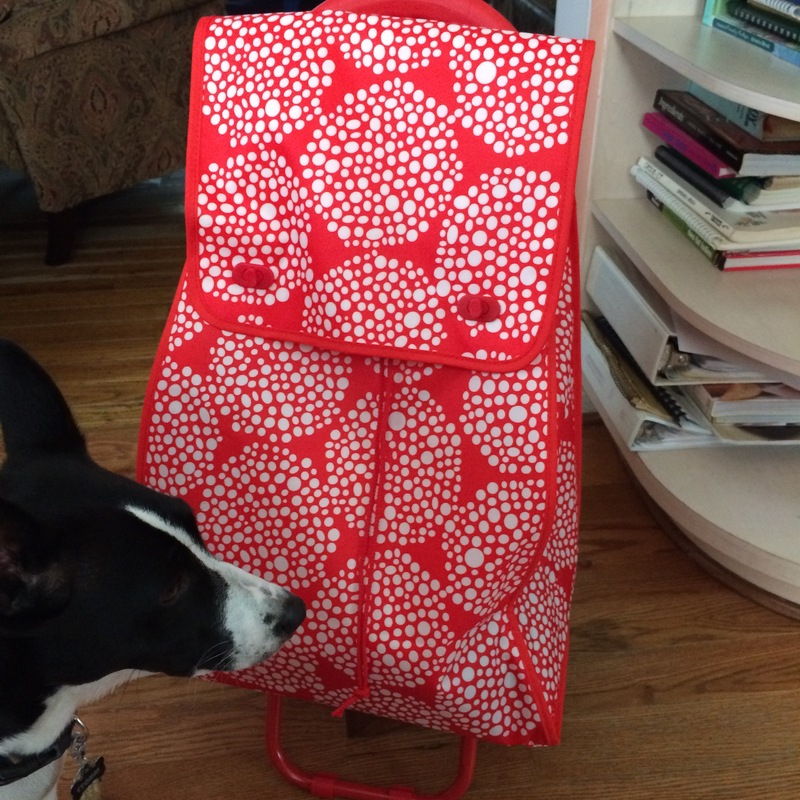 My pottery class has been a bright spot during this stressful time, so I have to share about this bag I found at IKEA. If you make any kind of pottery or know anyone who makes pottery, you should definitely check this out. I’m not sure about other places, but in Fairfax County if you take a pottery class, the price includes 25 pounds of clay. Between the clay and all the tools and what-not it takes to make pottery, it’s a lot to haul back and forth. 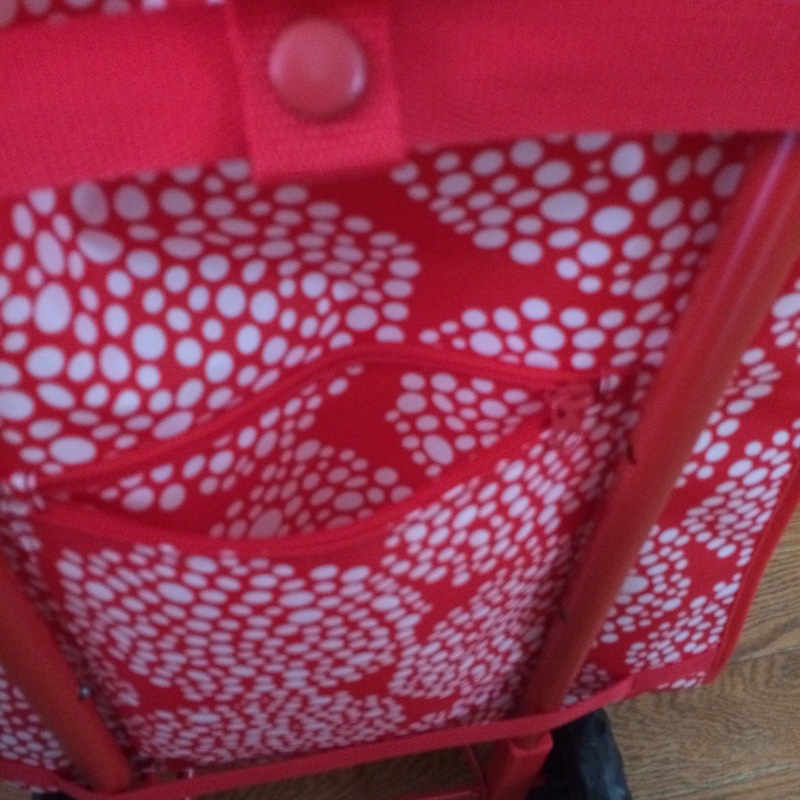 Most people use some kind of wheeled cart to handle the load. I didn’t have anything like that when I started this class, but then I spotted the KNALLA at IKEA. It’s perfect for a pottery class. It’s made of polyester so you can wipe it down easily with a damp rag. It’s big enough and sturdy enough to hold 25 pounds of clay and all the other stuff you need to bring to class, and it’s got some other nice features. 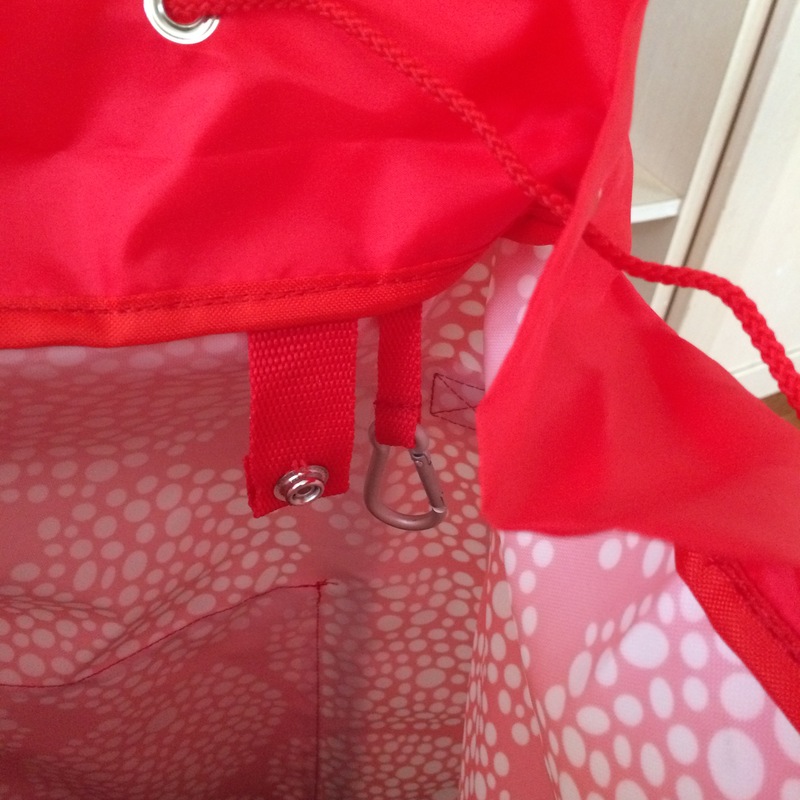 Inside it has a metal clip loop and a removable mesh bag. 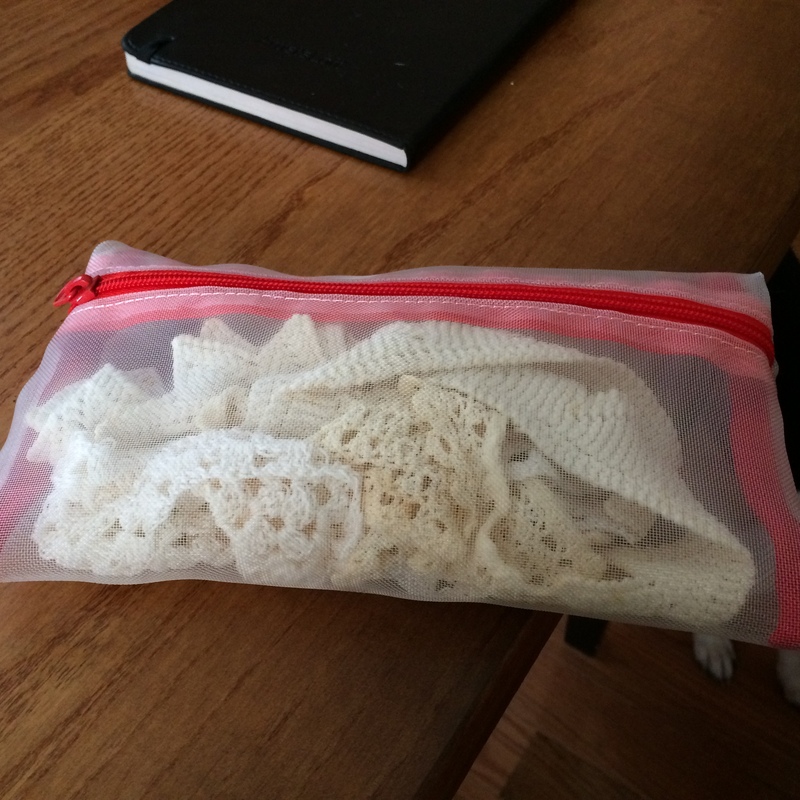 I like the mesh bag because I like to use lace my mother crochets to make impressions in the clay. The lace gets damp and needs to dry out and the mesh bag is perfect. 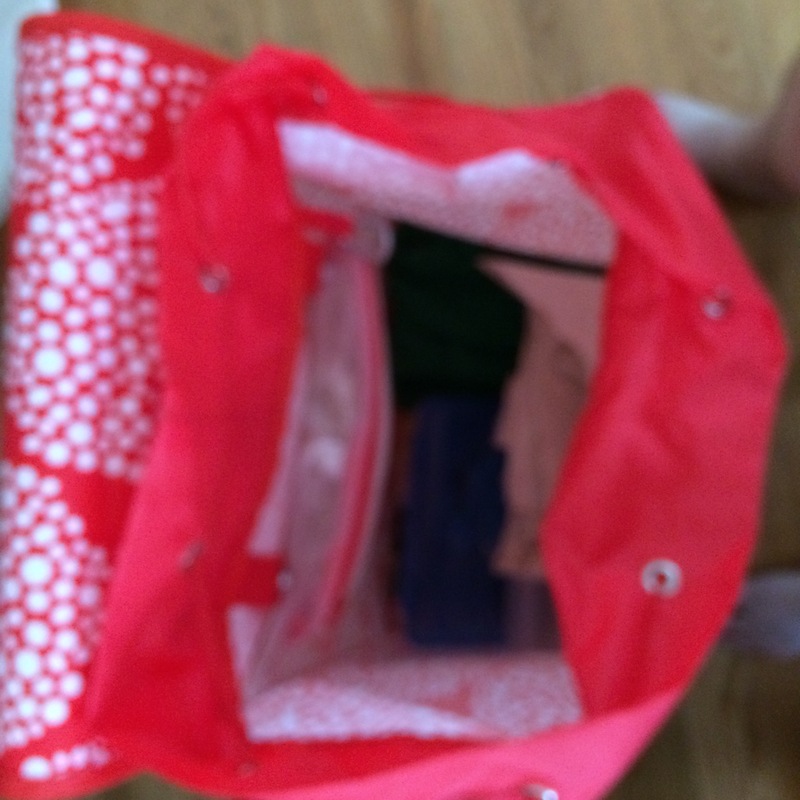 The bag also includes a zippered pocket in the back and a drawstring top. The price is great at $19.99 or $15.99 for IKEA Friends & Family members. 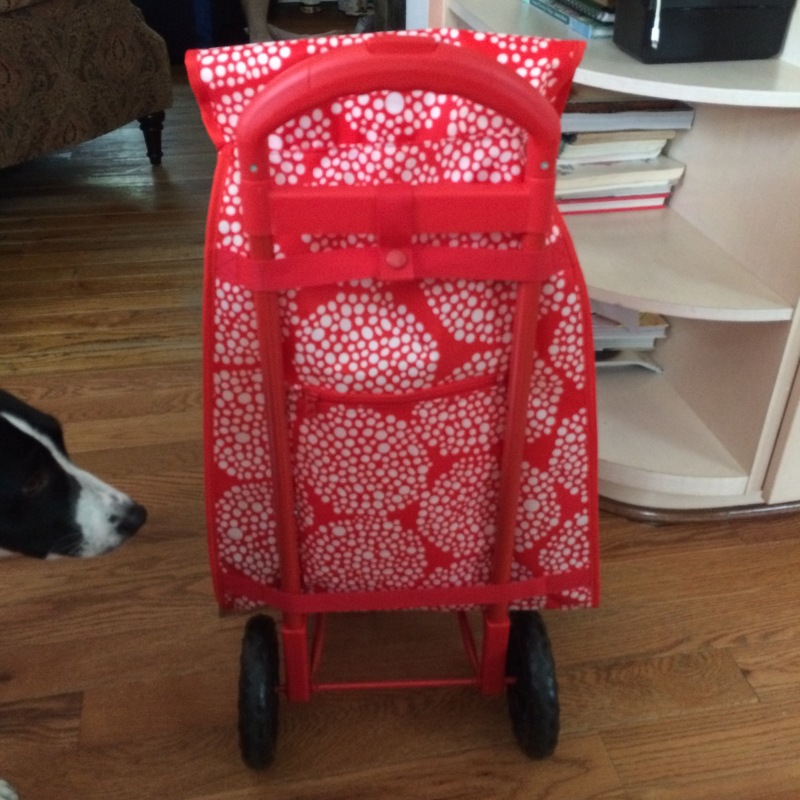 If you make pottery or otherwise need an easy to clean, wheeled shopping bag, you should check this out. I couldn’t be more happy with it.